Monica Joe received her Bachelor of Liberal Arts degree with a concentration in Urban Anthropology at the Soka University of America in May of 2013. 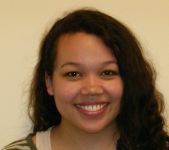 She is currently pursuing a Master of Urban Planning degree at the University of Washington. Her specialization within the planning field is historic preservation, with a particular focus on social equity and its relation to urban planning.